SAT NOVEMBER 10th. 2nd night added. 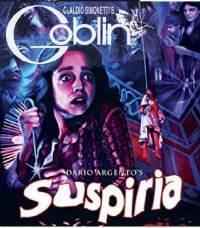 Dario Argento's - Suspiria (1977) screens with prog-rock legends Claudio Simonetti's Goblin performing score, live. Suspiria (pronounced [sʊsˈpɪ.ri.a], lit. Latin: "sighs") is a 1977 Italian supernatural horror film directed by Dario Argento, co-written by Argento and Daria Nicolodi, partially based on Thomas De Quincey's 1845 essay Suspiria de Profundis (Sighs from the Depths) and co-produced by Claudio and Salvatore Argento. The film stars Jessica Harper as an American ballet student who transfers to a prestigious dance academy in Germany but realizes, amidst a series of brutal murders, that the academy is a front for a supernatural conspiracy. It also features Stefania Casini, Flavio Bucci, Miguel Bosé, Alida Valli, Udo Kier and Joan Bennett, in her final film role. The film is the first of the trilogy Argento refers to as "The Three Mothers", which also comprises Inferno (1980) and The Mother of Tears (2007). 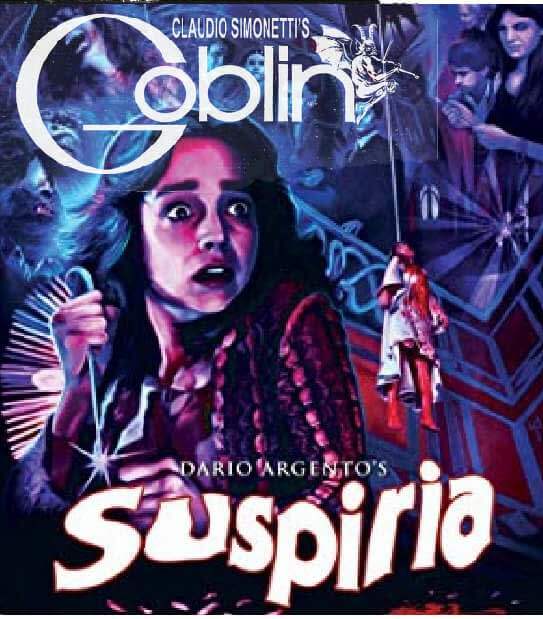 Suspiria has become one of Argento's most successful feature films, receiving critical acclaim for its visual and stylistic flair, use of vibrant colors and its score by the prog-rock band Goblin.